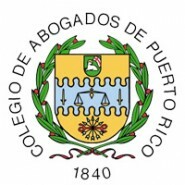 Colegio de Abogados – Press Clippings - Castellanos Group P.S.C. 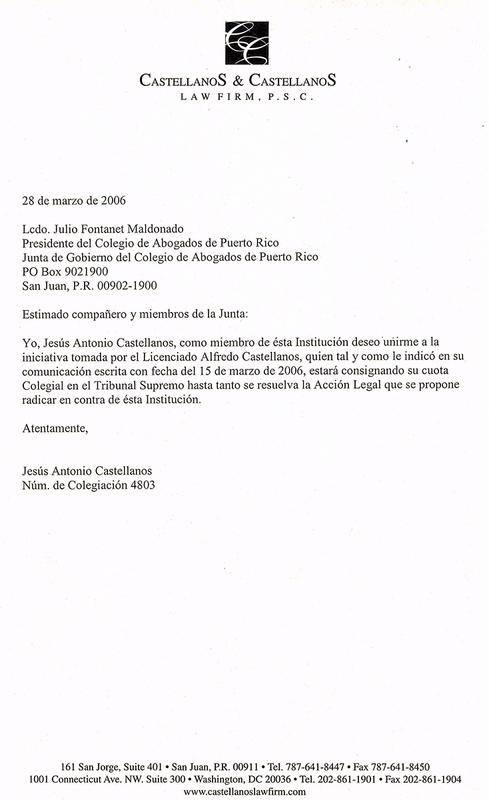 Alfredo Castellanos Esq. 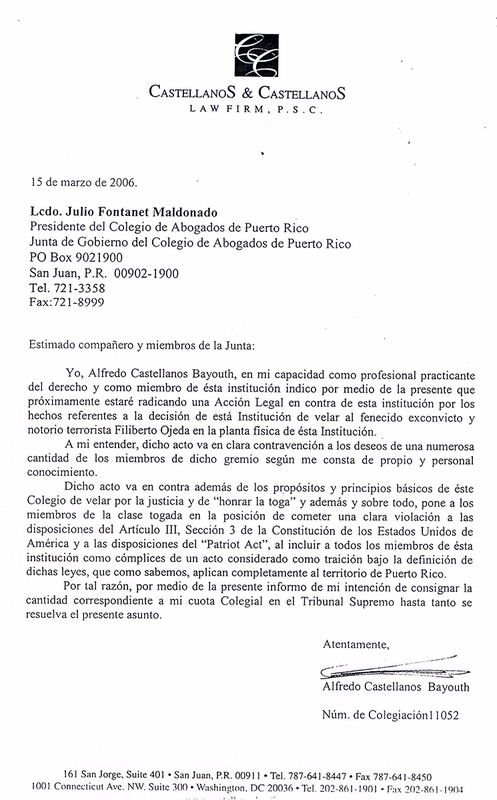 argued that the compulsory licensing law for lawyers in Puerto Rico is unconstitutional. 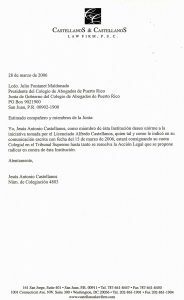 He refused to pay his local Bar’s Association annual fee; and risked disbarment from The Supreme Court as a result of his fight against injustice within the local Bar’s Association, Filiberto Ojeda Rios, by honoring him with a funeral on their headquarters. Alfredo Castellanos Esq. was the first to denounce and take legal action against ” aiding and supporting a domestic terrorist organization, an unlawful enemy combatant under the Constitution of the United States”. 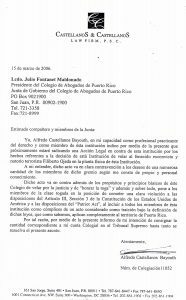 Alfredo Castellanos Esq. legal action had a historical significance and was the first step in the long legal and legislative process that lead to ending 200 years compulsory association.